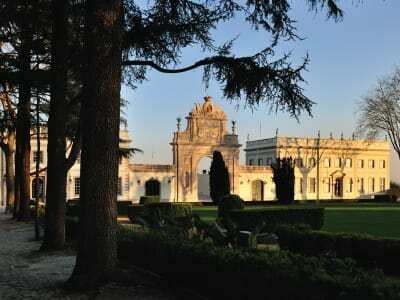 Much more than a luxury hotel in Sintra, Tivoli Palacio de Seteais is a romantic palace with period architecture that will take you back to the elegance and atmosphere of the XVIII century. The rooms are decorated with ornate furnishings while the ballrooms are adorned with stunning tapestries and frescos of rare beauty, making this boutique hotel in Sintra - a UNESCO World Heritage Site - a unique setting to turn any event or stay into an unforgettable experience. Spend idle hours wandering the mazes or enjoy them from a distance in the comfort of our Seteais Restaurant while you sample the highly original cuisine of our master chef. 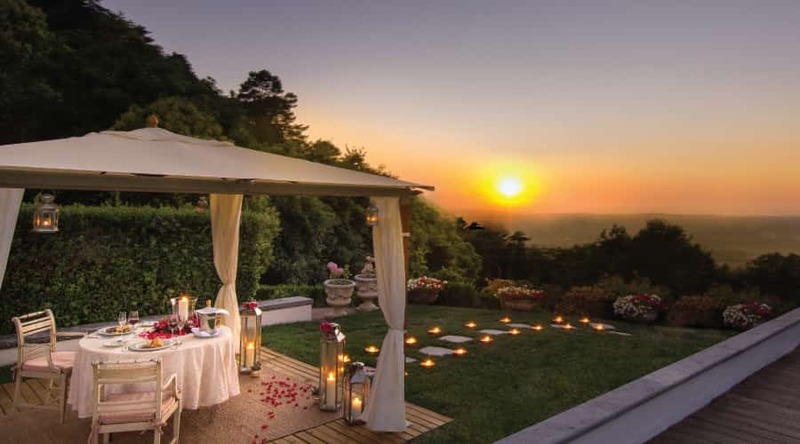 Enjoy the experience of a special dinner for two in this palace made for romance, located on the mountainside of Sintra with privileged views of the Moorish Castle and Pena Palace. Dine in one of the palace's ballrooms or next to the pool for an unforgettable experience which brings together the idyllic scenario with stylish flavours. Sintra is magical and romantic, rich in memories of its former days as the Royal Families' Summer resort. 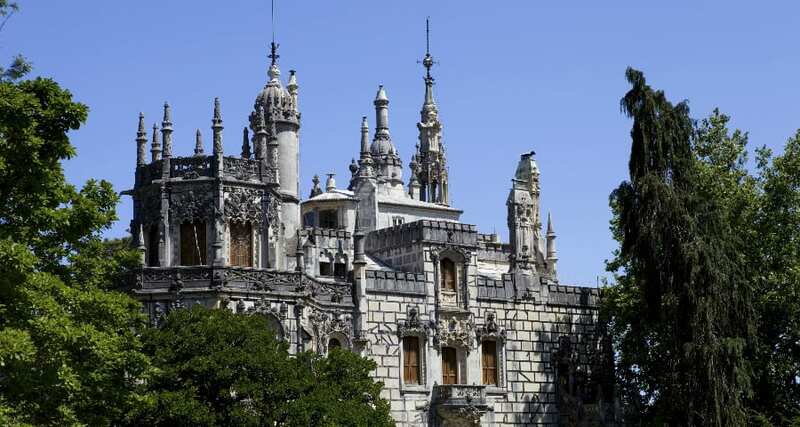 Explore the mazes and gardens of the esoteric Quinta da Regaleira and stroll through town's many antique shops. Wine and dine to your heart's content. Feel the fresh air bursting in your lungs with a a tour through the hills, deliciously cool and verdant. Go back in time and live a fairytale in this unique palace in the romantic Sintra. The residential palace was built in 1787 by the former Dutch Consul in Portugal. Several noble Portuguese families lived here before it became a hotel in 1955. Our guests over the years have included Agatha Christie, Alain Prost, Brad Pitt, Catherine Deneuve, David Bowie, John Malkovich, Johnny Depp, Kylie Minogue, Maria Callas, Marguerite Yourcenar and Mick Jagger. the Sintra Mountains, the Moorish Castle and Pena Palace. A perfect place for those looking for elegance and excellent service. one of our amazing cocktails while you enjoy the superb view of the Sintra Mountains and the Palace Gardens. This beautiful tasting room offers a unique experience for wine lovers. With warm sophisticated interiors, it is the perfect space to enjoy local red and white wines in tastings, pairing them with tapas or with a gourmet meal. The impressive selection of vintages comes from Sintra’s neighbouring wine region Colares, where a fascinating ageing process creates “what may well be Portugal’s most distinctive still wines,” according to the New York Times. Savour Sintra's charm and enchantment from the most relaxing location: a contemporary spa set in an 18th century palace. The Anantara Seteais Spa and Wellness Centre offers pampering treatments fit for royalty, combining lush indulgences with restorative holistic awakenings. With stunning views of the Sintra Mountains and the Atlantic Ocean, our elegant outdoor pool is the perfect retreat of peace and tranquillity in the heart of nature. Go for a few laps or enjoy our handmade Seteais Ice Cream by Artisani in rotating seasonal flavours such as cinnamon and lemon. Our garden grows various herbs and has more than 20 lemon trees, all providing rich flavour to our dishes. Guests are welcome to stroll the grounds, and are likely to spot the cooks picking ingredients. The white and pink camellias, Sintra’s symbolic flowers, are especially beloved for taking photos. The property is also home to a large nursery supplying lush plants throughout the palace. Much more than just a 5 star hotel, a luxurious and romantic palace which takes us back to the days of elegance and architecture of the XVIII century. The romanticism of the Tivoli Palácio de Seteais Sintra Hotel ensures that all weddings have a dream like aura and an idyllic setting for an unforgettable event. On your special day, you can even have a Palace exclusively for you and your guests. Located just a 30-minute drive from two of Portugal’s premier golf clubs, Tivoli Palácio de Seteais is an excellent choice for guests craving a few invigorating rounds on holiday. Tee off in spectacular nature, against green forest valleys and wide-open wilderness. Let us provide shuttle upon request to ensure your experience is relaxed and seamless. Just 30 kilometres from Lisbon, discover Sintra, an oasis of serenity surrounded by the green and unique Sintra Mountains. Get active. 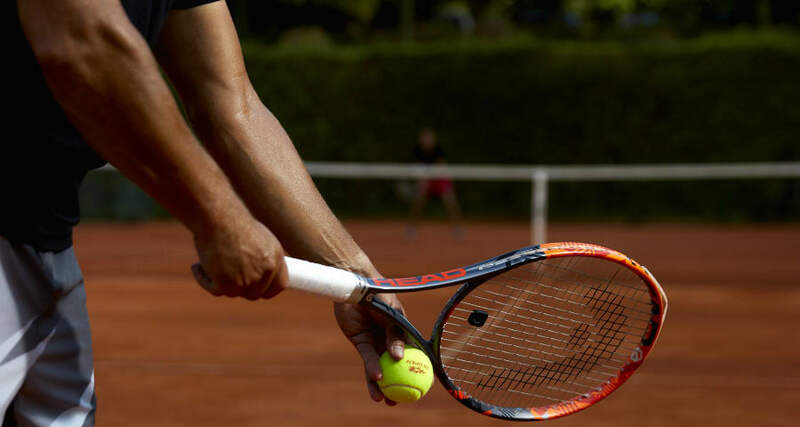 Tighten up your tennis skills. We offer classes for children, teens and adults five days a week in lush green surrounds. Plan the perfect workout with a coach and personal trainer. Private or group, the choice is yours. Tivoli Palácio de Seteais Sintra Hotel offers you a variety of Local Experiences totally dedicated to you and your tastes, your time, expectations and travel motivations, created to reveal the authentic and local twist of Sintra. Choose one of those local experiences and feel what the original this romantic village has to offer. Get to know the most emblematic spots in Sintra and discover all it's misteries and secrets. 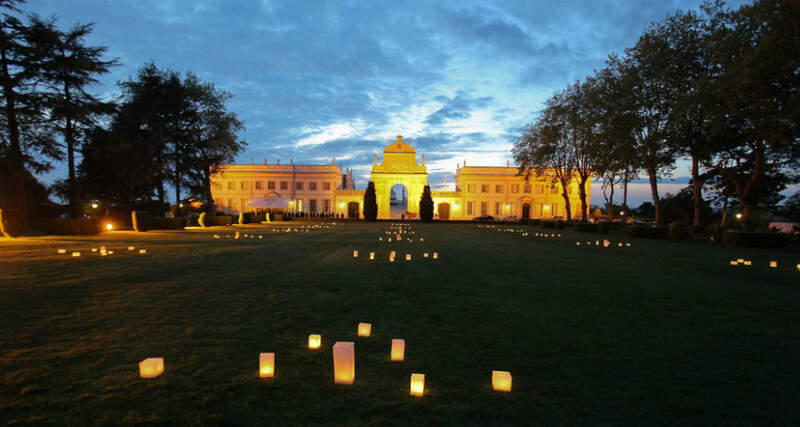 In an idyllic and exquisite setting of an 18th century palace, marvel with a delicious dinner for two. Find a deeper sense of zen with an invigorating signature massage at Anantara Seteais Spa. Despite retaining the 18th century feel, there are touches of modern luxury and the rooms are equipped with televisions, mini bars and Nespresso machines for making tea and coffee.